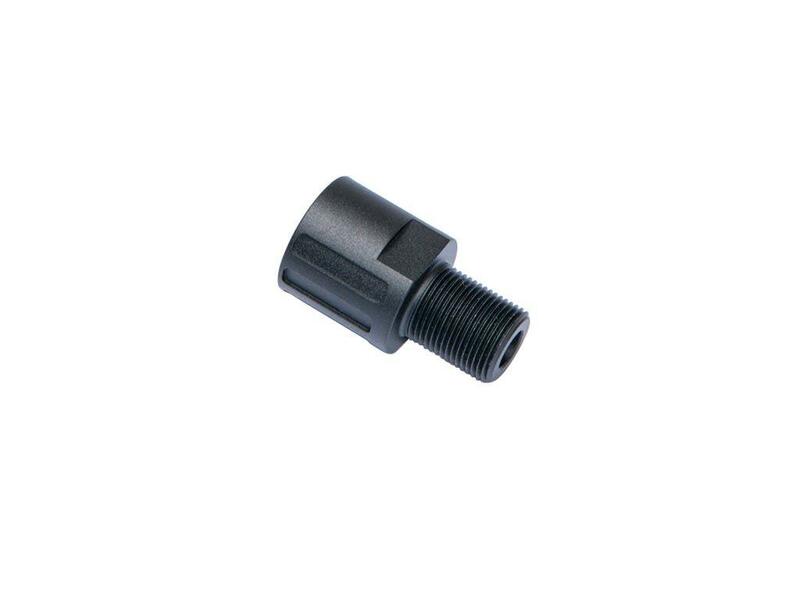 ASG CZ Scorpion EVO 3 A1 Thread Adaptor | ReplicaAirguns.ca | Easter Weekend Sale! Comments: This muzzle adaptor replaces the standard 18mm flash hider on the ASG CZ Scorpion EVO 3 A1 Airsoft Rifle. It allows you to mount standard 14mm CCW accessories, such as a barrel extension, flash hider, or mock suppressor.